The Peter Schrager Podcast: What was doomsday like at Redskins Park? 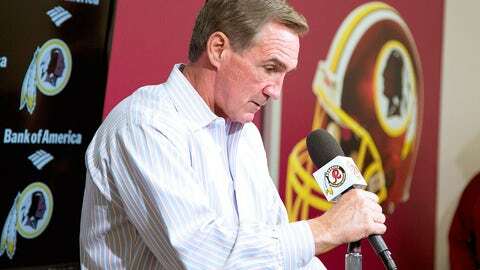 Mike Shanahan was fired as head coach of the Redskins after four seasons. What was doomsday like at Redskins Park? Washington Post writer Kent Babb details the scene on The Peter Schrager Podcast. "It was sheer, unadulterated, bonafide craziness, that’s really the best way I can put it," Babb told Schrager on Tuesday. It all began when head coach Mike Shanahan was stuck in a little traffic trying to enter the facility. Andy Nesbitt does a nice job at laying out the sequence of events that unfolded. Babb describes the bizarre setting in the press room as the news of Shanahan’s firing came down. So, who will replace Shanahan and the other fired coaches? FOX Sports 1 NFL insider Garafolo breaks down the top candidates to fill head coaching vacancies.